This treatment tightens the skin using Bipolar radio wave frequencies which vibrate the water in the dermis, causing friction and heat. This causes the collagen to contract and become more compact leading to a dramatic tightening and lifting effect. The hand piece is slowly rotated over the target areas, transmitting radio waves through the upper layers of the skin to the dermis. A high frequency electric wave is generated which penetrates the skin and moves the water molecules, causing them to collide with each other, generating heat. This heat contribute to the formation of new collagen. Non invasive, lifts and tightens skin, lifts the brow, soften lines and wrinkles, regenerates collagen, increases fibroblasts, and immediate collagen contraction. 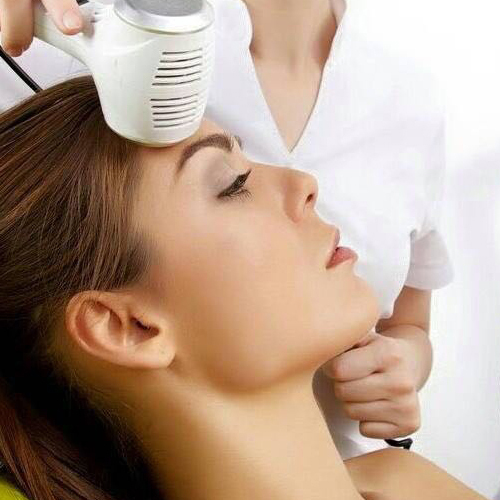 Areas that are mainly treated are face the neck, eyes, forehead, and jaw.